Welcome home to Grafton!! This home sits on 1 acre of land that abuts open space on a cul de sac . 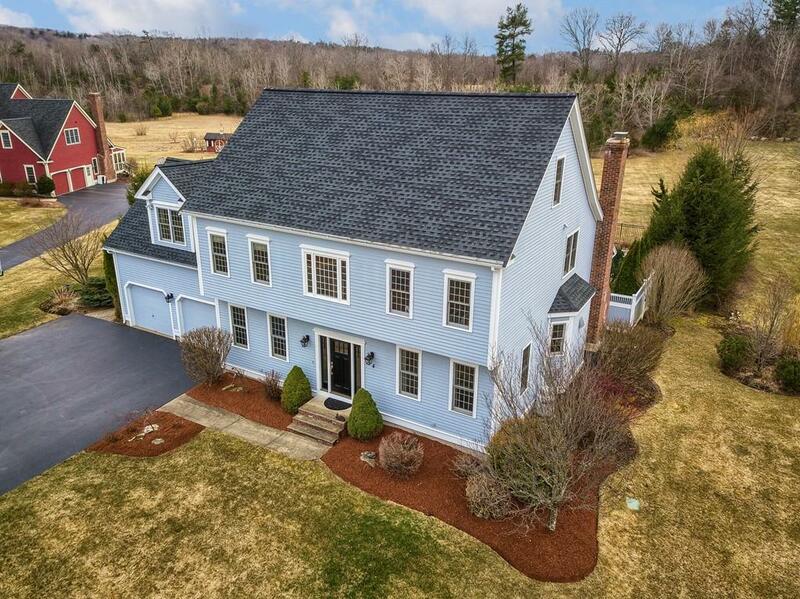 You will be wowed the minute you walk in....the grand, three story foyer, fully finished third floor with loft and 2 bonus rooms, and a finished basement is sure to please even the most discerning buyer. The eat-in, gourmet kitchen was recently remodeled, state of the art stainless steel appliances, 64" refrig/freezer, 48" gas range & granite, perfect for the gourmet chef in all of us! The huge mudroom with 3 closets and half bath leaves plenty of space for backpacks and gear! 4 bedrooms on the second level, all freshly painted have generous closet space and overhead lighting. Master bedroom & bath will make you feel like you are at spa....step outside to your own private oasis..inground pool, cabana with two rooms, you will never need another vacation!! The grounds are remarkable...full of privacy and a gorgeous patio..you will be the talk of the town!! 4 bedroom septic.